Zeroth and Lynn Potato like this. MarkedSniper, ItsVanityPlayz, Utako and 1 other person like this. Yea, I saw it too! Do you know when the game will come out? Smol Titania and Beepboxer108 like this. Smol Titania, Beepboxer108, Locke and 1 other person like this. 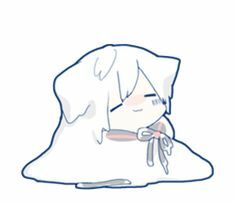 Smol Titania, Beepboxer108 and Zeroth like this. Locke, Smol Titania, Beepboxer108 and 1 other person like this. Zeroth and Locke like this. Zeroth, the roleplay has started recently. Don't worry, we haven't done anything yet, but we are waiting for everyone to post their openers. Zeroth, if your character is done, you can post it on the official thread, not the the one on my progress. As soon as everyone has posted, we will begin. Hi Zeroth! How done are you with your character sheet? Don't worry about it, take your time. We won't start it until everyone is happy with it. Im so sorry!! Happy late bday!!! Well then... Happy Late Birthday! How was your cake day? Feeling any wiser?